A couple of weeks ago I visited the treasure trove that is Pretty Twisted in Middlesbrough (read about that HERE). With so many adorable homeware pieces to choose from I was spoiled for choice and ended up buying a few things to sprinkle some magic into my room. 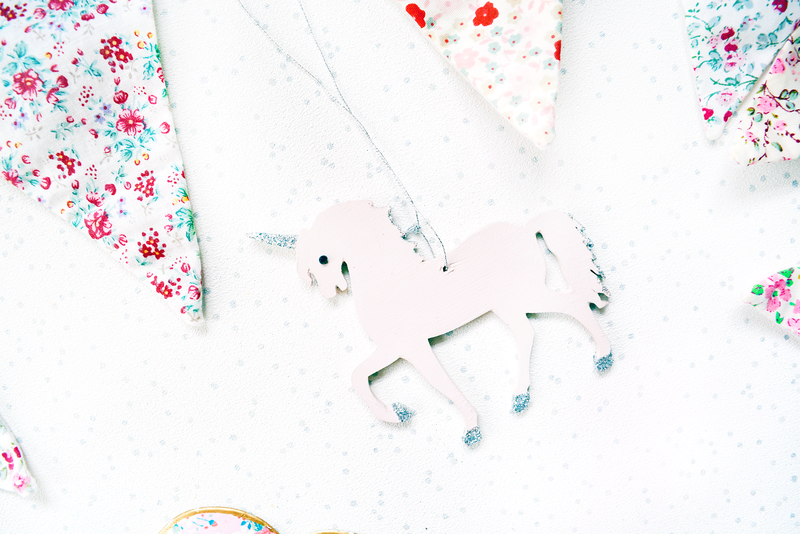 The first thing I made a beeline for was a little, pastel pink unicorn decoration with silver glitter accents. I've been obsessed with unicorns lately (even more so than usual) and I knew I couldn't leave without buying her. 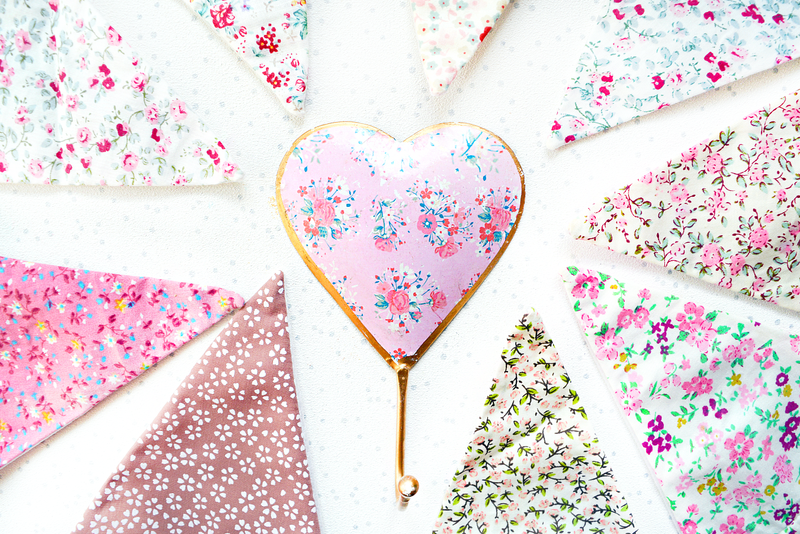 Next I went for some pretty, floral bunting. No bedroom is complete without some bunting, and I was considering getting my name spelled out at the personalized bunting bar but it was a bit too pricey for me at the time so, I went for this one instead. It's still super adorable and will look lovely hanging above my desk. Sticking with the floral theme, I also got this dainty, heart-shaped coat hook. I have absolutely no idea where I'm going to put this yet but I think I might use it to hang my keys and lanyard for work (which I'm always losing!). There was so many cute, confectionery themed bath bombs that I absolutely had to get at least one. 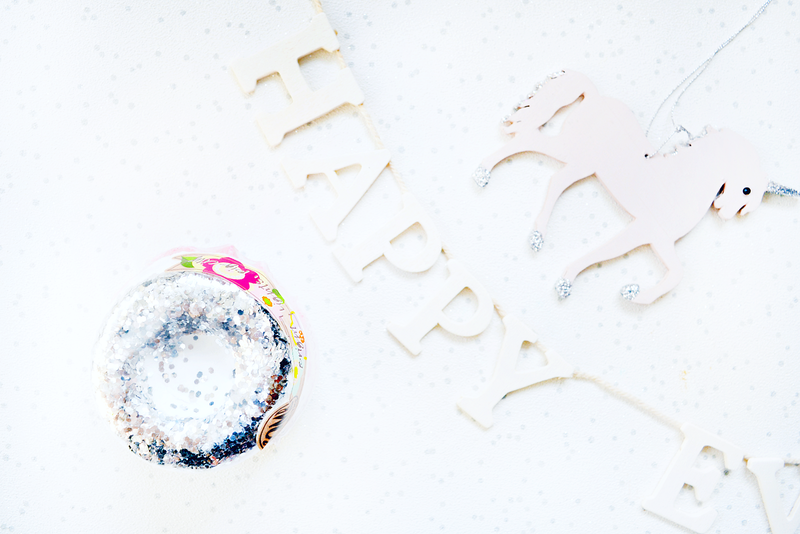 I decided on a pastel, donut-shaped bomb with silver, sequinned "frosting". I'm already dreading trying to get all those sequins out the bath but it's totally worth it for how princessy I'm going to feel. Finally, my favourite item. 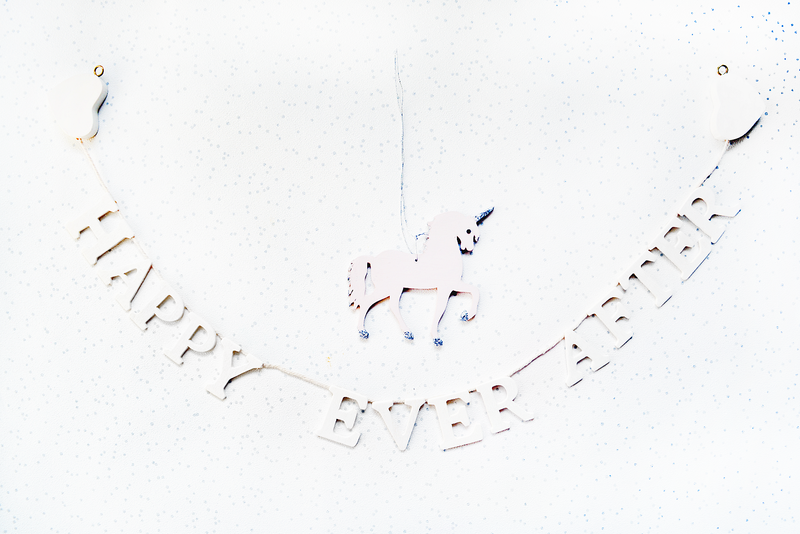 Kayleigh from Pretty Twisted kindly gifted me this 'Happy Ever After' decoration. Anyone who knows me, knows I love fairytales and I totally fell in love with this sign. I'm going to find a special, little place to display this - thank you Kayleigh for giving it to me! Oh all of these look so cute! I love the unicorn! The 'Happy Ever After' decoration is so cute!